Buyers will find a wide selection of Midtown Atlanta homes and condos for sale and other Midtown real estate options like townhouses and lofts. Midtown presents an alluring cityscape with a wide array of housing choices. It is not a surprise that so many people want to live here. The selection is seemingly endless. There are new hi-rise condos and apartments as well as historic and nostalgic areas of the neighborhood. Home styles range from 1920’s craftsman bungalows to the latest in contemporary designs. Those who are fortunate enough to live in Midtown Atlanta, find themselves close to everything. This is a community peppered with cosmopolitan amenities, shopping, nightlife, attractions, and arts venues. Nature lovers can even enjoy access to Atlanta’s largest noticeable convergence of green space boasting over 225 acres of parks including the beloved Piedmont Park and the Atlanta Botanical Gardens. Explore Midtown Atlanta real estate listings below or read more about living in Midtown. And when you’re ready, talk with us about buying or selling. We’re here to help you! Spend just a few minutes in Midtown and you’ll quickly realize that people here are on the move. There are two free public shuttles offering service to Midtown’s choicest locations. The Georgia Tech Trolley runs from the Institute’s Transit Hub on Ferst Drive to the Midtown MARTA Station on 10th Street. Transportation is more comprehensive in Midtown than anywhere else in Atlanta. There are many stops throughout campus and Midtown, including the Publix Supermarket off West Peachtree near Tech Square. And, with the exception of official Institute holidays, the Trolley operates all year long. Boarding at the Arts Center Station, the Atlantic Station shuttle runs the length of the 17th Street bus only lane to The Flats, also making stops at designated MARTA bus stops. Midtown Atlanta is one of the best walkable Atlanta neighborhoods. The Eastside BeltLine Trail: Northern Hiking Extension allows Midtowners to hike or run the length of a 2.8 mile unpaved trail north of the Eastside BeltLine from Piedmont Park to Montgomery Ferry in Midtown Atlanta. Midtown is also one of the best Atlanta neighborhoods for cycling. Midtown’s elaborate street matrix and ample eight-miles of bike lanes make navigating while cycling extremely, safe, easy and convenient. Similar to Mapquest, the website ‘Ride the City’ makes it easy to plan bike trips in and around Midtown and the rest of Atlanta. If you’re a dog lover, you’ll be happy to know that Midtown is one of the most dog-friendly Atlanta neighborhoods. Midtown’s accessibility by automobile is unparalleled since there is quick access to I-75/85 and connections to the Westside by way of five bridges. Midtown Alliance works diligently to, among many other things, improve the transportation network. There is a focus on better traffic flow through signal management, intersection governance, improved signage as well as bridges and thoroughfares. Midtown is arguably the epicenter of Atlanta’s education and arts. Since 1933, Midtown has been home to Atlanta’s John Marshall Law School. Including Georgia Tech and the world famous Emory University Hospital, Midtown boasts exemplary institutes of higher learning. These colleges and universities are helping to transform Midtown into a thriving hub of innovation collectively fueling a thriving research and science arena. The educational partnership in Midtown has raised Atlanta’s national profile in the bioscience industry. They’ve done this by developing physical infrastructure and attracting the talent necessary to foster rapid growth in the fields of healthcare and medical research. Midtown enjoys a growing reputation as a hotbed for the birth of lucrative high tech start-ups. Coca Cola World Headquarters is also in Midtown. It sits adjacent to the Georgia Tech campus and a dedicated ten acre bio-lab facility known as Technology Enterprise Park. Midtown has 3 high schools. One of the highest rated schools is Grady High School, which has a rating of 6. It has 1,464 children. The public schools in Midtown are in Atlanta Public Schools District. Other Midtown schools of note are The Children’s School, The Orion School, Bright Horizons Family Solutions, Centennial Place Elementary School and Fulton County Charter High School of Mathematics & Science. Midtown is home to Atlanta’s thriving arts scene that includes but is not limited to Fox Theatre, Ferst Center for the Arts, the 14th Street Playhouse, Woodruff Arts Center, the Museum of Design Atlanta, the High Museum of Art, the Center for Puppetry Arts, and the Atlanta Symphony Orchestra. Real estate development activity has surged through Midtown in recent years at a rate far above that of the rest of Metro Atlanta. Beginning in 2000, numerous high-rise condo buildings were built in Midtown including 1010 Midtown, Spire and Viewpoint. In 2004 the Seventeenth Street Bridge over the Downtown Connector opened and reconnected Midtown with the west side of the city – West Midtown and to the Atlantic Station neighborhood development, built on site of the former Atlantic Steel company. In 2006, a plan was launched to make the 14-block stretch of Peachtree Street going through Midtown into a street-level shopping destination. If you’re thinking of selling check out these tips for selling your Midtown condo or loft. Midtown has by far the best big-city cultural vibe in Atlanta. Live in Midtown and you will definitely see why so many people love it. Here are the top 10 reasons to love Intown Atlanta living. The neighborhood offers the High Museum of Art, the Woodruff Arts Center, the Atlanta Symphony Orchestra, the Fox Theatre and many other arts and entertainment venues.  You can choose from a range of Midtown Atlanta homes and condos for sale. From high-rise condos to bungalow-style homes on quiet, tree-lined streets. 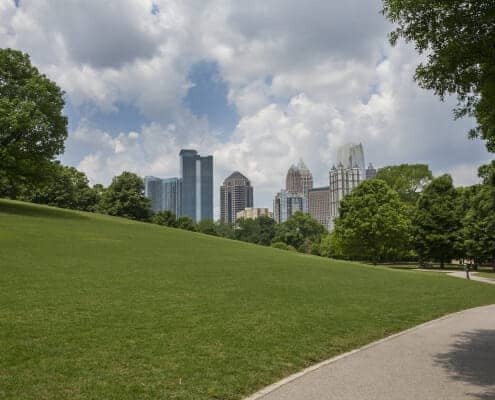 Midtown also offers the city’s crown jewel of parks…Piedmont Park. This huge, green oasis in the heart of Midtown is the site of many of the city’s most popular events, including Atlanta Gay Pride, the Atlanta Jazz Festival and the Atlanta Dogwood Festival just to name a few. Midtown really does have something for everyone. Thinking of selling? Get the best tips for selling your Midtown condo. And if you need an experienced Midtown Atlanta real estate agent, talk with us.